Fehérvár keeps in winning in the ERSTE Liga middle part of the season. Dunaújváros lost at home to the Capitals and have slipped to last place. The home team controlled the start of the game, the game was scored at the 15 minute mark when Hunor Császár deaked out the goalie for the first Fehérvár goal of the game. In the second period Dániel Kornakker defended well but in the Attila Góga tied the game up with a power play goal. In the closing period Fehérvár had another power play, a minute later Patrik Kiss had taken back the lead of Fehérvár. Fehérvár had more chances and in the end Patrik Kiss ended up scoring an empty net goal to set the final at 3-1. Fehérvár has won their fifth game of the middle part of the season. The game did not start well for DAB, even though they had a number of power pays but it was Vienna scored first as Bauer found the back of the net for Vienna. Later in the period Saari scored from the blue line however two minutes later Jabornik cut the deficit in half. In the closing minutes of the period Kittinger put the Capitals back up by two goals. 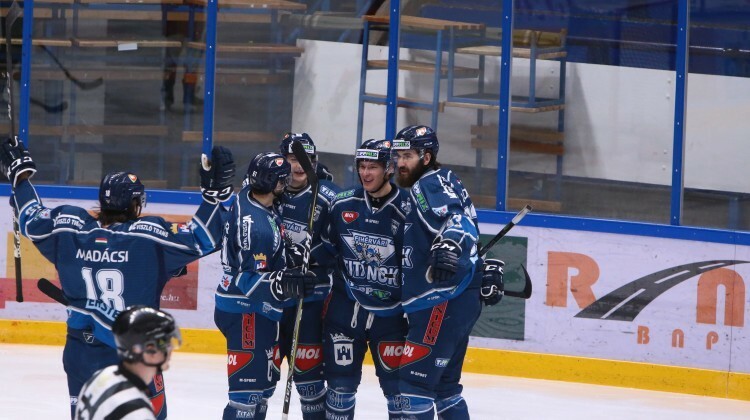 It took less than a minute and a half in to the second period Schlögl scored to make it 4-1. In the 24th minute Uski scored for DAB to make it a two score game. The third period came and went without a goal being scored as the Capitals picked up the two goal win.